The Arts by Karena: Empress of the Eye Giveaway! Oh man! This is the first time I'm truly sad that I'm not on Facebook. I just love the fuchsia pillow. I love the fushia pillow... my fav. Raina, you can still enter here...you are always welcome to spin the wheel. LOVELY... j'adore pillows!!! Black and white would be my choice! Wow what an amazing woman... I love the black and white version its quirky and modern I just love it. Antique European Feedsack pillows are a favorite, but they're all so marvelous! What a talented lady! Great interview! I love both of the pillows, but I would probably use the black in more places! Great pillows and such a varied selection which is always nice. I especially like the feedsack pillows and the victorian monogram. I have a modern house but the vintagy feel of those is so lovely. I love all of them! The needlepoint and Aubusson pillows are fantastic, but I would choose the black & white Forest Fables pillow....I've just posted a pretty basket for the Online Auction for Valorie that I think you will like! Oh, my goodness! I've never seen so many beautiful pillows all in one place before! I really love the vintage needlepoint pillows and the feedsack pillows. I'd probably choose the black over the fuscia. Love the chairs in this post! hey karena! thanks for the comment. I love the gray vintage pillows on the FB page and the black and white on on your giveaway! yay! What stunning pillows. Love the detail I love accessories with such detail and grandeur. I have a weakness for throw pillows. The blue ones in the white chair are my favorite. I think they were called Fortuny. I shared them on my FB wall. I love the forest fables in black and white!! They are all so beautiful. Love the white one and the red victorian is fantastic, not for me ,the green one on the chair caught my eye too. Thanks so much for stopping by Town and Country Mom! I loved your interview and look forward to reading future posts! Have a great weekend! So many lovely ones. Really it is very hard to choose. I do particularly like the monogrammed ones with the crown motif as well as the tone on tone white. and the fuschia one that is up for grabs is gorgeous as well! Thanks for the giveaway, I'm a follower! Hi Karena! The pillows are beautiful! I am in love with the Forest Fables(any color) & Feedsack Collection. hi thanks for visiting the Ornamentalist and letting me know about this great interview. nice post! I love the Forest Fables particularly in the black and white, but I have to say my favorite pillow is the embroidered eye at the top of this post, because I love things with eyes on them. Such pretty giveaways. The embroidered eye is quite unsual. Adore the Forest Fables, too. 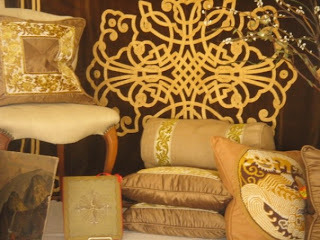 great collection of pillows, all the fabrics are so lovely. Just love EVERYTHING she does! 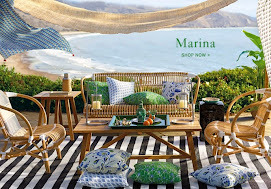 And have lusted after her Forest Fable pillows in white w/green since I first laid eyes on them! I would love this fuschia pillow!!! I love all the designs it's very difficult to decide which one. But if I do win, I probably would take the vintage needle work. I just want to thank you very much for coming to my blog and leaving such a nice comment. You've made my day! Your blog is fun, beautiful and since I love art, it's very, very inspiring! Just a quick note to say thank you for stopping by my space and for adding yourself to the Now!vember linky. I look forward to reading your wonderful insights. Karena, this is truly a luxurious giveaway! Ohh fantastic giveaway Karena! I'd love to win one of these fab pillows! Great giveaway and fab interview! Loving that fuschia pillow! Yes, Yes, Yes!! If I am the lucky winner, I would take whichever pillow Jane wanted to send me. I wouldn't be able to choose a favorite. Wonderful interview, Karena! I love fabrics too. Used to sew as a girl, but have 'retired'. I do, however, love painting on fabric. Need to do some more - especially silk. Thanks so much for dropping by the other day! This craftswoman has a great eye, and sounds like so much fun, would love to go antiquing with her! You were so right ! I heart this giveaway !!!! 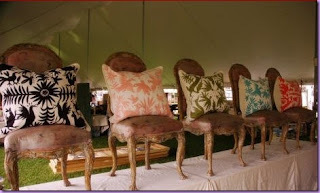 I loved so many of the pillows that it was hard to pick a favorite, but I am going to go with the "Aubuson Collection". I will keep my fingers crossed on this one. Thanks for letting me in on it. Gorgeous pillows! I love the Forrest fable series! The fuschia/white is my favorite! Thanks for this lovely give away! So glad to have found your blog - now a follower of yours and of Empress of the Eye!! I particularly love the Embroidered Pillow with ruffle edge - photo #28 under the "Life with Pillows" photo album on Facebook. Fabulous!! Thanks again for a great blog! I love the red pillow. That fantastic fabric also looks great on the chair. "They" don't "let" me near needles anymore (grins!)... Nosireebob (! ),the LAST time I tried to sew a button on my husband's shirt (just as we were about to walk out the door), I poked my FINGER, got blood on that white, tuxedo shirt, and I've never had to sew a button on(or anyhthing!) ever since!!! Soooooo, I envy that kind of talent & skill sooooo much!!! Again, WOW!!! WOW! How exciting to read all your wonderful comments...I see it is almost equally divided between the fuschia and the black and white pillow. I have two new collections just about ready to launch and I hope you like them as much as the Forest Fables. Thank you all for the encouragement and especially to Karena. She has a great bunch of Followers! Very interesting interview. i love the colorful pillows. I'm a follower via google and I think the forest fable pillows ARE my faves! Especially the forest green one! Love the fuschia pillow!! Thanks for the opportunity! I checked out Jane's pillows on Facebook. Gorgeous! I am loving the big Beautiful Victorian Monogram pillows! I love this giveaway, Karena. The feed sack pillows make me happy. Karena, I just went and checked out the pillows, they are fabulous!! The black or maybe blue are my favorites. And I loved the part in the interview where she talked about her mother showing up at PTA meetings all dressed up. I would love to have that much style!! this is such a great interview, and the pillows are to die for! Beautiful fabrics and love the design inspiration behind them! Love the Scalamandre in pink and the whole Forest Fables collection. Another amazing giveaway. I covet them all, I have a NYC apartment and a country place upstate so I could make any of them work. I can NOT name one so I guess I am disqualified. I'm a follower of ABK on GFC. I love the green pillow from the Forest Fables Collection. , - but I would like to say that this post really forced me to do so! really nice post. Karena, I just signed on as a new follower, and I'm delighted to do so. I visited her blog as instructed (I don't do facebook), and I looked through all of the pillows AND LOVED THEM ALL! I love the pink Scalmandre pillows, and I saw several aubussons that sent me over the moon. AND I love the needlepoint dog pillow. How on earth can you just pick one when they are all wonderful? Okay, and if I were to choose between the two colors of the pillow for the giveaway, I would choose the fushia. I love the black and white, but I think fuschia is the color for a Floridian. Thanks to you and Jane both for this giveaway! And I loved your interview. She is just wonderful. I somehow found her pillows once before, and then I lost the link. Glad I found it again! I adore the feedsack pillow with the monograms. These pillows are so fabulous! oh my fingers are crossed like u wouldn't belive!!! Uauh!!! Me gusta mucho tu blog. Gracias por oportunidad sorteo. Es dificil decidir que cojín gusta más, pero "Big Beautiful Victorian Monograms" es uno de mis favoritos. So many beautiful pillows. Love the design on the black and white. I think the b/w is a real classic. Wonderful giveaway! Great Interview! I relate to the stylish, flamboyant mother not blending in with all the other mothers! Your choice of handmade embroidered fabric by the Otomi Indian women was such a gift to both them and all of us. I have to say it was extremely hard to decide which of your pillow designs is my favorite of the Forest Fables Collection-I'd have to say any one of them! Your pillow with the Empress of The Eye Symbol is unbelievable. All of your designs are truly creative! Great interview and all of her pillows are to die for! I wish that I could put a pillow under the holiday tree of each of you! It is so swell to hear your comments about...well, my world of pillows. Thanks for stopping by! My favorite pillow has to be any of the green and white! Thanks for the invitation! Beautiful blog! What a lovely interview and beautiful pillows! I am crazy about the velvet dots pillow!! What a great giveaway Karena! Please enter me. My favorite pillow is the homespun one, I love the design! She's very talented! I was already following you but I did again through Google friend Connect. Her pillows are fantastic. I like the Forest Fables Embroidery Collection. She has a great blog too; been a great visit here tonight! Thanks to all of you! I hope that spreading the word about the Giveaway is making you happy! I find so much joy in the anticipation of a surprise! Jane is pleased I can tell as well! I spend my days following you! especially on the comment side. You are always about 100 steps ahead of me, seriously, you must have staff! 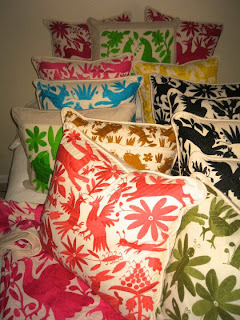 I went to Jane's wonderful blog and I love the Otomi textiles. I want to shop with her in Florida! Will FB and tweet this wonderful giveaway. The fuschia pillow is positively swoon worthy! That is a fabulous pillow. Great giveaway! The Forest Fables collection would have to be my favorite! Lovely blog too. What a gorgeous giveaway, the Forest Fables are my favourites also. Tank you for your lovely comment. Lovely black and white pillow. Her pillows are gorgeous. So many beautiful ones. Love the European monograms, Perfection...and vintage needlepoint. Oh, and the crazy quilt ones are fun as well! I love those pillows! I think I'd have to go with the fuscia, b/c I'm looking for some color to brighten up my neutral living room. That would be perfect! Fantastic interview! I love the story about her mother redecorating her bedroom every summer. And the fabrics & patterns look incredible! Love them all! Love the orange! Hi Karena...Well, they're all just gorgeous. I'm partial to fuschia or black. The feedsack pillows are wonderful! Great interview too. Ok I love all the pillows..The print is to die for..And definitely timeless....Any one of the colors would definitely make a room pop! They are fabulous. Thanks for visiting my blog and giving me a heads up.. Wow!! Thanks for stopping by Nouveau Stitch and introducing me to these incredible pillows! Love everything about them! Everything! I really love the black forest fable pillow. I love the Forest Fable collection. Thank you so much for stopping by my blog and telling me about the Metis giveaway! So sorry it has taken me so long and I see I missed it. Something I really would've enjoyed as my husband is French and I travel to France frequently. I'm a follower! The black and white for sure! Love it! I'm Following, love the pillows they are really original and handsome, I love the bluish animal/flower printed pillow. Hope the 'luxury Sheets Buying Guide' was or will be helpfull for you! I'm attracted to the Big Beautiful Victorian Monogram and the Pink Oddfellow Bolster! oh the pillows are lovely! I'm a new follower :) good luck on your contest, what a lucky winner they will be! I'm a fan of the black & white version. No real surprise there. Thanks for letting me know about the giveaway. It's fantastic! How are you doing today, Karena? What a fascinating interview! I always enjoy reading where designers find their inspiration and the factors that trigger a career. Thank you...and thank you for stopping by! Love the interview. 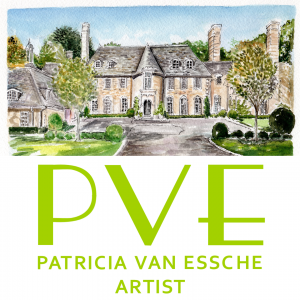 I have no talent in design, so I admire those who can make a home look beautiful! I love the forest fable pillow in pink--so fab! I've always been a fan of this kind of tapestry! did you receive the pillow? the pink pillow is so gorgeous, i Love the design! This is by far the best giveaway I've seen so far! Hi Karena! All very pretty and quite the vibrant colleciton! I am drawn to the white on white embroidered pillows. You have the most unique giveaways. It's always fun to visit you. And sheesh! you get so many comments!!! Happy upcoming Thanksgiving to you. And lots of love for you as well. Oh my they are so pretty. My favorite is black/white. Thanks for visiting my blog. I think you are perfecting the art of the give-away! Jane is brilliant with fabric. She finds the most wonderful prints and fabrics and has a way of making magic & pillows too! Great interview, she sounds like so much fun! Gorgeous! I love the interview too, great idea. And thanks for letting me know about the giveaway. I hope I win! You bloggers have given me so much inspiration and confirmation that my "pillow folly" is shared by so many others. Your blog is a true gem! Lots of gorgeous inspiration. I just slipped over to Empress of the Eye. Each pillow is a work of art! The one that really caught my eye was an antique tapestry done in soft neutral tones with a giant iris. Just exaquisite! Please enter me in your very very lovely giveaway. BTW~ Everything you do speaks to my soul! What a great interview and give away. You were right - I love it. My faves are the cheetah print and the otomi Mexican pillows! I "fanned" her on FB and I'm now a follower of your blog. I love the 'Fortuny' blue pillow & the red phoniex one! Such beautiful different pillows! I actually really like the feed scak pillows! that is great that you not only showcased her work but also explained about the history behind it all. Love the fact they are hand made in lit villages - that is so special! I love the forest fables with the animals that came form the imagination of those ladies... all the colors are great but maybe the pink or red would be my favorite! I think I would go with the silk tiger stripe pillows! Scalamandre, I think? These are great! I'd go for the black and white Forest Fables. Thanks for letting me know about this giveaway Karena! I love the pink and white Forest Fables pillow!!! Fabulous giveaway Karena! I love all the colors but if I must choose, black & white it would be. What an inspiring interview. I love all of the fabrics but the fuschia is my favorite. Thanks for stopping by my blog today! You convinced me to hang to painting. :-) I'm a new follower! I love In The Good Old Summertime pillow because I imagine that is the view people have of me as I walk past them. For a beautiful pillow I adore the Mexican embroidery blue birds pillow. The forest fables pillows are simply wonderful. I have an affinity for salmon and coral colors and I felt a kindred spirit with those beautiful pillows. The fuchsia. No-o-o, the black Otomi. The fuchsia. Yes, the fuchsia! Hard to pick just one favorite. you won the book i posted on vetaran's day - Let me know where to send! OOoo. Love any Otomi but leaning toward fushia. Also love anybody who collects glass eyeballs. The Black and White Forest Fables pillows are my favorite! They seem to jump right out of a child's bedtime story. seriously this is an amazing giveaway and more importantly I love her work and I am so glad you introduced us to it. I would buy her prints regardless of the giveaway. I love the Eiffel tower images and the bistro ones. All these beautiful giveaways in your blog! WOW! Good Grief my fingers are tired from scrolling down so far! Yes, I want a Jane pillow. I long for anything Fortuny, but love the bank bag pillows.